Jennifer has been a Clean Break Member since 2010. After completing her studies with us, and performing in multiple short touring productions with the company, Jen is now a successful actor. 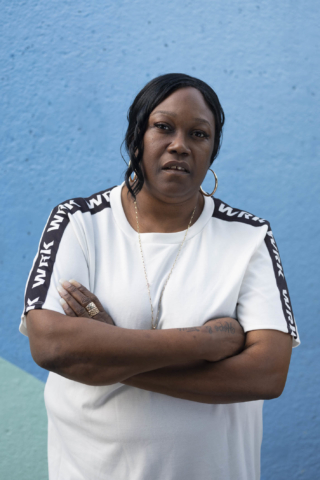 She continues to work with Clean Break, speaking about her experiences and performing in the company’s work, most recently in Hear by Deborah Bruce which was performed at the House of Lords. Between 2014-2016, she acted alongside a stellar cast in Phyllida Lloyd’s Shakespeare Trilogy for the Donmar Warehouse and continues to find other success both on stage and screen. As a potent advocate for Arts in Prisons, she takes part in outreach programmes about penal issues and is a Trustee of Women In Prison. Her most recent roles include appearances in Flush at the Matchstick Theatre, and in the upcoming horror film Patients of a Saint, directed by Russell Owen.